DJ and production duo Man & Woman came together a couple of years ago and have been stirring up their local Washington DC scene with sweet disco house vibes ever since. With a few tracks under their belt, Man & Woman serve up the perfect tunes for that bouncy, feel good style of nu-disco-meets-house-meets-R&B that everyone swoons over. 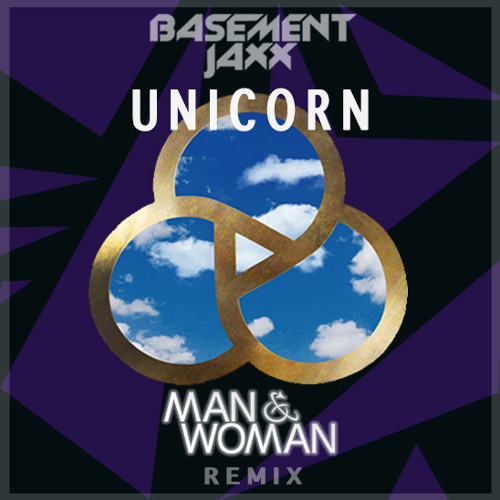 Their latest remix sees British duo Basement Jaxx and their track “Unicorn” getting showered in the rays of shimmery production. Crisp, bouncing beats and lush chord progressions, topped off with these vocals make for a wonderful combination. Personally I like how Man & Woman sort of turned down the house from the original. Their remix makes it so you can spend some time and find that special moment while you're killing the dancefloor. "Unicorn (Man & Woman Remix)"